Social Platform is the largest platform of European rights and value-­‐based NGOs working in the social sector. We want to promote social justice, equality and participatory democracy by voicing the concerns of member organisations. Through our democratic structure, we aim at the full participation of members in a transparent manner that respects their diversity. Social Platform will make a contribution to the informal EPSCO Council in July 2014. It is relevant to all TSI themes – definition, enabling factors framework bridging from EU to national, impact measurement. Rodolfo is VIce-President of Social Platform Europe and Secretary of the European Disability Forum (EDF). From 2005 to 2009, he was on EDF’s Executive Committee. 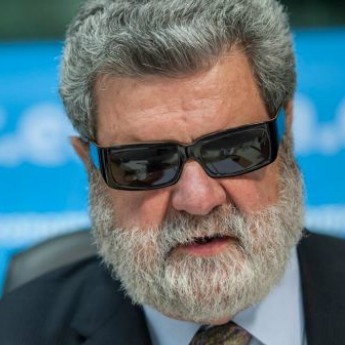 He also serves as Chairman of the Commission for Liaising with the EU for the European Blind Union. Rodolfo has been constantly committed to the promotion of the principles of equality, solidarity, non-discrimination, social justice and participatory democracy. His personal and professional experience and engagement in the disability movement have been led by these values. During his life as an activist and member of the governing bodies of a number of organisations he has learnt that despite the difficulties and the barriers to overcome there is the possibility to achieve a better society if the human rights perspective is respected.